Poor Will; unsuspecting that his shot at being punny would have such dire consequences. Of course, neither would I when, in the second grade, John Van Burkham would take ire to... you know, I have no idea why, but the kid tried to karate flip me in the play yard at school, and instead ended snapping my left elbow back. But there it was; busted. It didn't set correctly because it was a while before we made it to a doctor, and he had originally treated it as a sprain. And then that night I rolled on it and finished the job young John had started. As I've gotten older, the elbow, and hand, have gotten harder to use. And this is problematic as, once again, I am pursuing my life long dream to play the guitar. And that has brought me to my small Johnson. 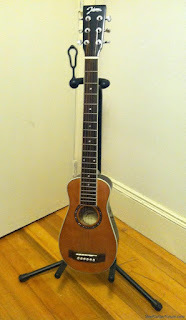 Or, to be more precise, my Johnson travel guitar. 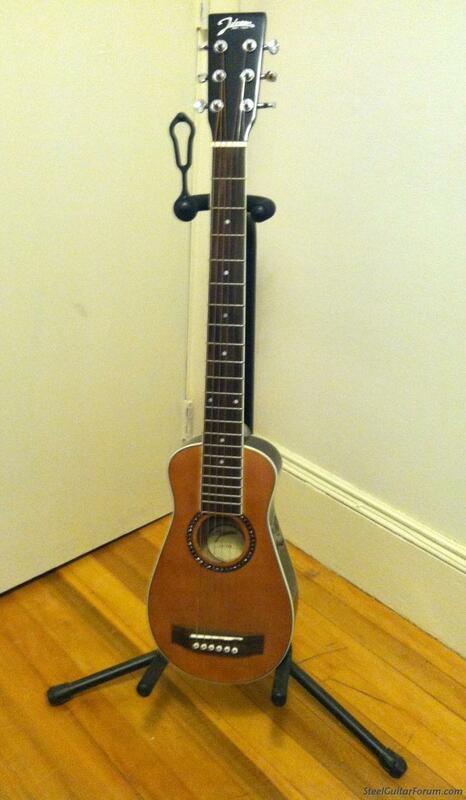 The Johnson travel guitar looks like what happens when a ukulele gets busy with a six string acoustic guitar. It has a long fret board that's not quite a full length, and a body that screams "I AM NOT A UKULELE"... in a squeaky voice. But it sounds pretty good for a travel guitar, and comes in at around $120US. And, it comes in left handed editions, too. And why, you may ask, is all this important? It was an astute salesman at a Guitar Center who noticed it first. My arm and hand don't move well. Not enough, anyway, to wrap it around the body of a full sized guitar and fret notes and cords. So I packed away the beautiful Yamaha my mom had bought me and had resided I would never play again. That is, until I discovered the world of travel guitars! 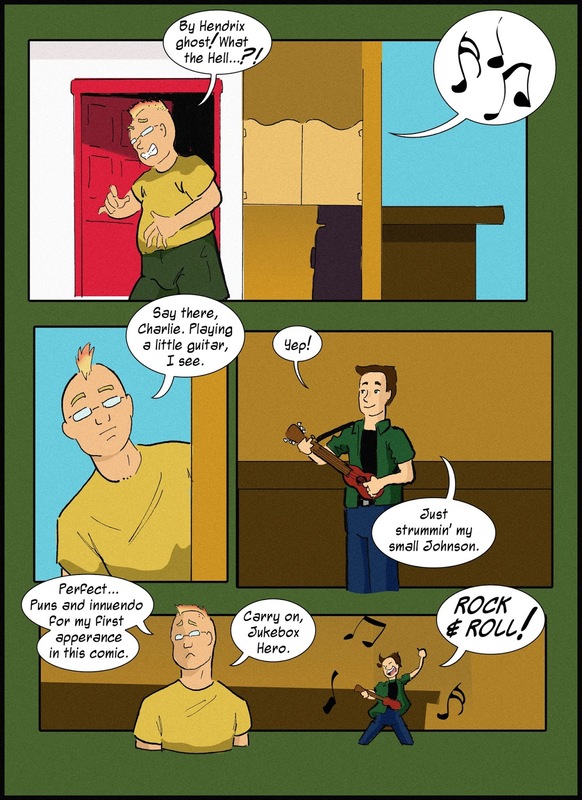 As of this comic I am now three days into my first set of lessons. The finger tips on my right hand feel really weird as calluses begin to form. But I now kind of know three basic cords, and am looking forward to being able to play my first simple songs in the next month. I am probably never going to be a master play; able to pluck notes from the air by delicately tugging one string at a time. But I will, eventually, be good enough to play a few rock songs. I'll take it.